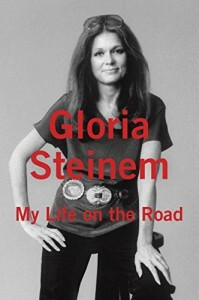 Reading this lively memoir of the vagabond life Gloria Steinem has led--first by necessity and then because she embraced it--made me want to hit the road myself in the hope that I could have even a fraction of her experiences. The varied places and people she’s encountered in her travels give her rich, interesting perspectives on the history and zeitgeist of the times she writes about, which extend from the later years of the Great Depression until today. It makes the book a fascinating, even inspiring combination of personal story and history that’s a lot of fun to read--and because this is Gloria Steinem, readers also get an enlightening front row seat for the burgeoning women’s movement of the 1960’s-70’s and its continuing development. When she was a young child Steinem’s father ran a lakeside music venue in the summer, but once fall came he’d pack everyone in the car to spend the rest of the year driving around the country buying and then selling junk or antiques or whatever, earning enough of a profit to make it to the next town--an enterprise in which the whole family participated. Steinem thought she longed for a permanent home, but when she reached adulthood that didn’t happen. After college Steinem got a 2-year fellowship to study in India, but when she showed up at the ashram of Vinoba Bhave, one of the leaders in the land reform movement inspired by Gandhi, almost everyone was gone. Caste riots had broken out in nearby, now cordoned off villages, so the ashram residents had formed teams to slip under police barriers and travel from village to village hoping to help contain further violence. One more team wanted to go out, but they needed a women so Steinem was drafted, her first experience of traditional talking circles and modern community activism. Working as a journalist back in the US, Steinem was dismissed by some of her male colleagues as a token “pretty girl” which helped lead her to the women’s movement and a continued life of organizing, activism, and travel. If you are expecting something dour and humorless, that’s not what you’ll find in this book. Steinem comes across as warmhearted, eager to learn from the people around her, and open to new experiences, all of which makes her wonderful company. 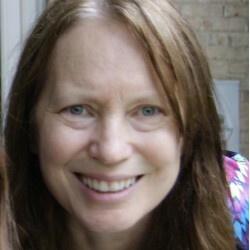 I enjoyed learning more about mid-century politics and the growth of the women’s movement, but I also loved the personal glimpses she gives of people as diverse as Cherokee Nation chief Wilma Mankiller, who was a personal friend, and Frank Sinatra, who Steinem spent one awkward Thanksgiving dinner with--he didn’t talk much to anyone but he did let them watch while he put on an engineer’s hat and ran his toy trains around an elaborate track. Steinem even works in interesting bits of older history, mentioning for instance that the American Constitution is partially modeled on the Iroquois Confederacy, but when Benjamin Franklin invited two Iroquois men to the Constitutional Convention to act as advisers, one of their first comments was something like--why aren’t there any women at this meeting? Good question.